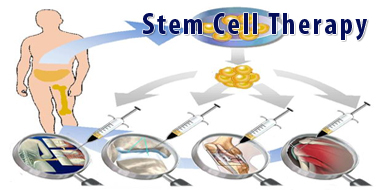 Stem cell therapy is one of the latest entrants in the field of therapeutic medicine. Although, stem cells have been in the news for several years now, they have mostly been confined to the research laboratories up until now. However, Stem cell therapy is now developing into something much more useful and applicable in mainstream medicine. Stem cell therapy is basically the use of stem cells to treat, cure, or prevent certain diseases and conditions. The chief intent of stem cell therapy is to replace the dysfunctional or abnormal cells in the body with healthy and functional stem cells. Additionally, the stem cell therapy also stimulates the host’s immune responses to annihilate the dysfunctional cells. Stem cells also help the body produce enough red blood cells, white blood cells, and platelets to help prevent serious infections and anemia during certain medical procedures such as chemotherapy for the treatment of cancers. Although, stem cells are often thought to be in the research stages, they have been in use in the treatment of cancers such as Lymphoma, multiple myeloma, and leukemia and sickle cell anemia since several years. 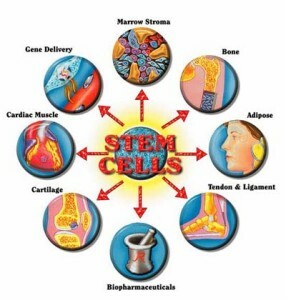 What are stem cells and how are they used in stem cell therapy? Stem cells are of several types, as they are usually formed in different parts of the body at different stages in one’s life. The embryonic stem cells usually do not last after the early developmental stages are complete. However, there are some tissue-specific and adult stem cells that may originate during fetal development but remain throughout one’s lifetime inside the body. 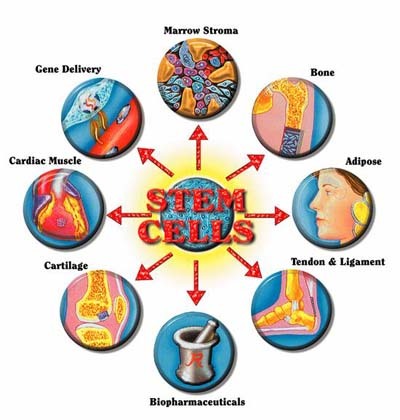 All of these stem cells perform certain functions that are only specific to them and certain tissues, as their potential is often limited to the tissues that they have been derived from alone. These stem cells are mainly isolated from the patient’s bone marrow or adipose tissue through aspiration. The isolated stem cells are then cultured in laboratories to increase their numbers. The increased stem cells are then injected in specific areas for the purpose of regenerative therapy. The more number of stem cells injected into a specific area, the better are the results. Hence, these isolated stem cells are scientifically processed to increase their numbers before they are injected into the dysfunctional site. Thus, stem cells have come a long way in their utilities in modern science. Cancer treatments, regenerative therapies, Blood disorders, and countering the side-effects of chemotherapy are just some of the many uses of this therapy today. Additionally, stem cell therapy shows great promise and is believed to play an extremely significant role in the future of therapeutic medicine. All said and done, most aspects of this therapy are still under research. However, all of the initial results seem promising. Stem cell transplants also have the chances of producing certain side-effects such as graft versus host diseases. Since, the stem cells induce an immune response in the host body to kill off the cancer or unhealthy and dysfunctional cells, this process holds the risk of going too far and killing off healthy cells too in the bargain, if not performed with skill and care. If you have pain and would like to be evaluated for the benefit of PRP or stem cell therapy, please contact our specialists at Orthopedic Surgery San Diego.